How to buy the best pair of military shoes? Designed with the toughest of the tough quality materials, military shoes are ideal for anyone who needs them, starting from the troops and soldiers to airman and sailors. These shoes offer complete protection, support and comfort to the wearer. However, to enjoy the benefits choosing the right pair is essential. And we’re here to help you buy the best pair of military shoes. Here are the top things for you to consider while buying the perfect pair of shoes. Safety standards are important for any safety footwear and the military shoes are no exception to this. 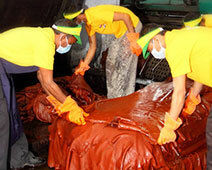 The shoes should meet the safety standards and should have a toe cap to protect the feet from serious injuries. The sole should be capable of withstanding a variety of terrain and the shoes should be water-resistant and fast drying too. The military field provides a number of challenges and involves risks as well. Therefore, the shoes that you buy need to offer complete protection to your feet in such perilous environments. Also, when working for extended hours, they should be comfortable enough to help you work efficiently.Buy shoes that facilitate air circulation and are lightweight. Cost is something that can’t be overlooked. Determine the amount you can spend on the safety shoes as your budget will narrow down your options, making your search easier. However, do not compromise on quality for the price. You shouldn’t mind spending a little extra for quality products as they will offer long term benefits. 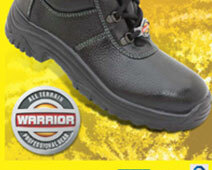 Meeting the safety standards, military safety shoes should offer utmost comfort. Also, these shoes should be durable and lightweight to make the soldiers’ challenging job easier. It is better to buy shoes that are breathable as it will ensure the feet are not excessively sweating. We hope this post has helped you to understand the importance of military shoes for the personnel and the ways to pick the best pair. In case you’re looking for quality shoes at reasonable prices, you can browse through our huge collections.